Robert Young, a professor of political science at the University of Western Ontario, is the author of "The Breakup of Czechoslovakia" and "The Secession of Quebec and the Future of Canada." There are now serious secessionist movements in Europe. Flanders nationalists have won electoral pluralities. Catalonia will hold early elections on Nov. 25, and the Nationalist Coalition is well in the lead. The Edinburgh Agreement of Oct. 15 provides for a referendum on Scottish independence before December 2014. Among the current movements in Europe -- Scotland, Flanders nationalists in Belgium and Catalonia in Spain -- the secessionists anticipate remaining in the European Union. Integration within the E.U. provides some assurance that existing economic relations would continue, without major disruption to flows of trade, investment and people. The fear of disruption has been an important inhibition to secessionist voting, notably in Quebec in 1995. The E.U. does not recognize the possibility of secession, nor does it legally preclude it. The E.U. may be seen as a guarantor of economic stability, but can portions of member states secede within the E.U. framework? The simple answer is yes. Formally, states are sovereign, and it is legally possible for substate regions to secede. The E.U. institutional apparatus does not recognize the possibility of secession, but it does not legally preclude it. Seceding states, however, do not automatically enjoy treaty rights. It is the predecessor state that retains existing rights and memberships. To be admitted to the E.U., a nation must receive unanimous support among member states and be approved by a vote in the European Parliament. Could the seceding states win admission? Belgium is not problematic here, because the national state is weak to the point of nonexistence. A split between Flanders and Wallonia would be relatively painless. Brussels would be the real question (and perhaps the E.U. would obtain a capital region). The debate about Scottish independence has been remarkably sanguine. The Edinburgh Agreement contains safeguards of continuity, committing the two governments to work "constructively," whatever the outcome. It is highly unlikely that the U.K. would veto Scottish admission to the European Union. Spain is the real problem. Driven by economic stress, nationalism has flared quickly in Catalonia. The Spanish response has been very firm: a referendum would be "illegal" and secession is "madness." But a referendum will come, given that 80 percent of Catalans want one. The E.U. could not change the accession rule to stop a Spanish veto of Catalan membership. 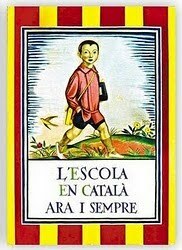 Nor could it declare that its treaties cover Catalonia, because the institutional arrangements would have to change. Were Catalonia to secede, the only solution is that Spanish self-interest prevails so that severe disruption to its own economy is avoided. Spain would not block Catalonia's admission to the Union -- and to ensure this result, all the leverage of the E.U. would be brought to bear. Whatever inconveniences would result from having more member states, the interest of the E.U. would lie in admitting the seceding states.